due2 can be cleaned with almost any detergent as it is extremely dense and weather resistant. However, we recommend simply using a mild detergent and a water jet. 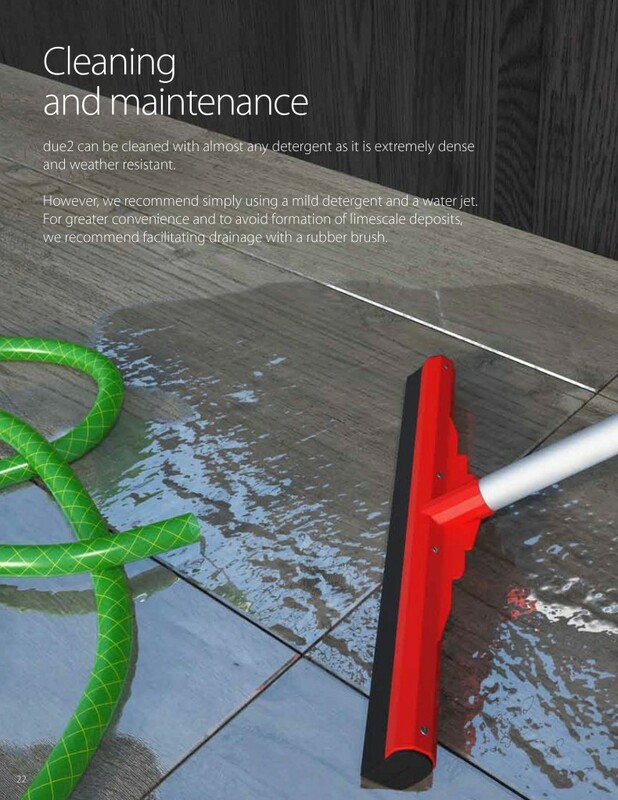 For greater convenience and to avoid formation of limescale deposits, we recommend facilitating drainage with a rubber brush.